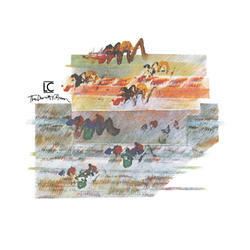 The second Durutti Column album, originally released in 1981, marked the departure of producer Martin Hannett (Joy Division, Buzzcocks) and the addition of drummer Bruce Mitchell, who would remain a longtime collaborator with chief member, guitarist Vini Reilly. LC is as powerful as the debut, a fantastic collection of guitar excursions that transcend genre. This is also the first album to feature Reilly's speak-sing vocal style, including on "The Missing Boy," a tribute to the recently deceased leader of Joy Division, Ian Curtis. Another stellar album reissued on 180 gram vinyl.